It’s that time of year when losing one hour sleep to gain more daylight and herald in the spring seems like a welcome relief to winter. For some losing that one-hour sleep may feel like a take away no matter how warm the weather is outside. Getting that spring in your step may be a slow start for some but getting up and moving is important if you want to get a jump-start on the college grads looking for work in a few months. 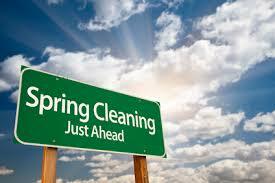 Springtime is a wake up call if you are in a job you hate or are about to embark on a job search for the first time. You need to find the right motivation and deliberation when it comes to your job search. Procrastination seems like a noble cause when the weather outside is delightful and your job search prospects are frightful. You don’t need an excuse to put off updating your resume, searching the job boards or following up on a job lead when all you really want to do is to go out and play. Like the inevitable spring cleaning and filing of your taxes, procrastination has a way of keeping the spring out of your step no matter how badly you need or want to change your career. Nothing makes it harder to motivate you to get going on your job search than a beautiful spring day or friends calling you up to hang out. Finding a balance between work and play may mean you have to dedicate a few hours each week to helping you stay on track with your job search. It’s never easy making change and procrastinating is just one way to avoid taking the reins of your career and moving forward. You don’t need to drop all other activities to get going, but devoting a few hours a week or even 20 minutes a day will help you move the ball a little further down your career court. Making a list each week of the things you need to process will make it easier for you to feel like you’ve accomplished something especially when you check off one item or so each and every week. You don’t have to make great strides in pushing your career search along but one step at a time will work wonders in keeping you moving forward and motivated when the sun is shining bright. Your career search does not have to feel like a work out or a chore when all you want to do is play. Make sure you have fun while looking for your next job and find ways to invigorate your job search activities that make you feel good about what you are doing and not like you are piling on more work. It’s time to make the most out of spring and balance life’s pleasures with the goals and dreams you set for your career. Who knows, you may just find the perfect job while having a great time just when you least expect it?